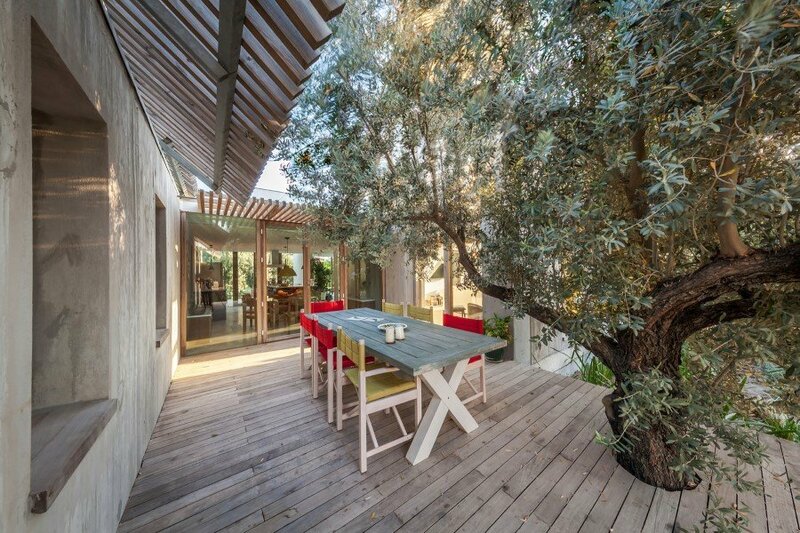 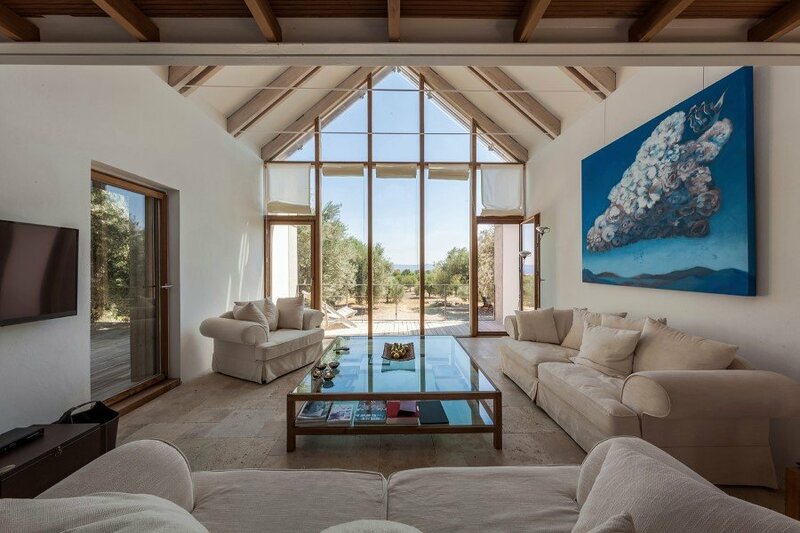 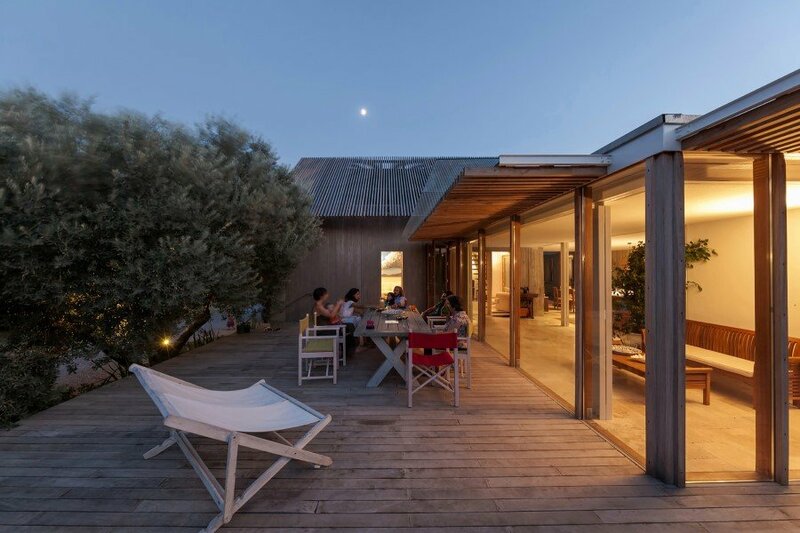 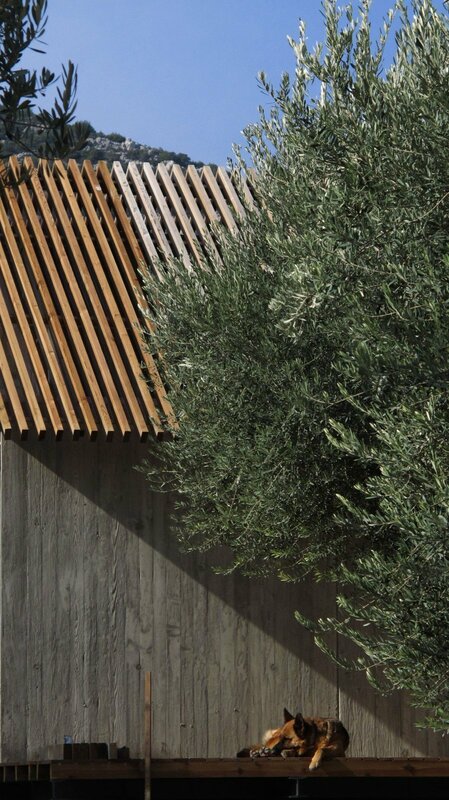 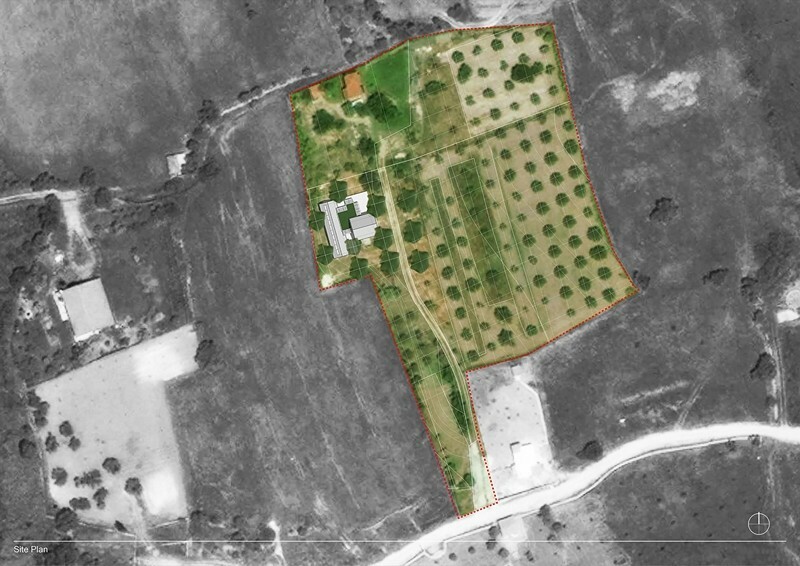 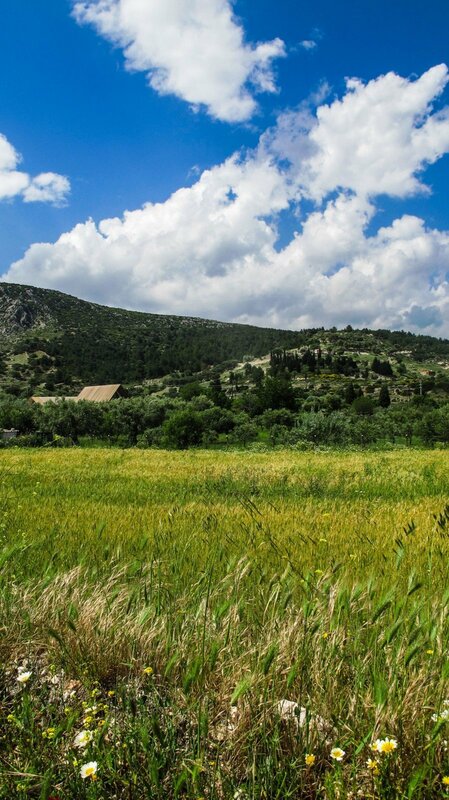 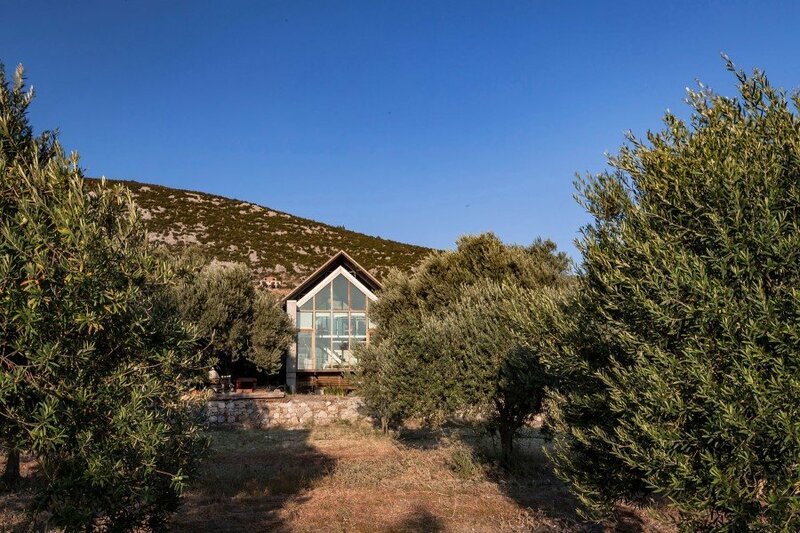 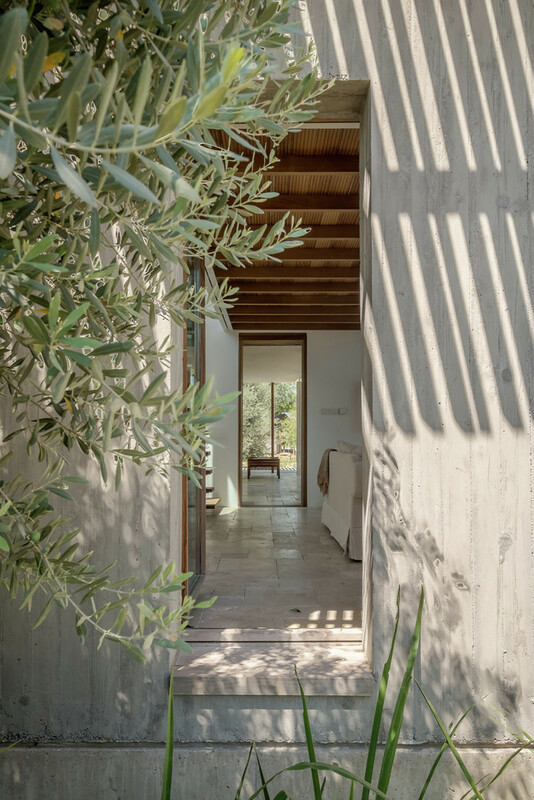 The Turkish architect Onur Teke has designed Teke house for a retired couple who yielded to “the pull of the land” and settled in Aegean village to start an olive grove. 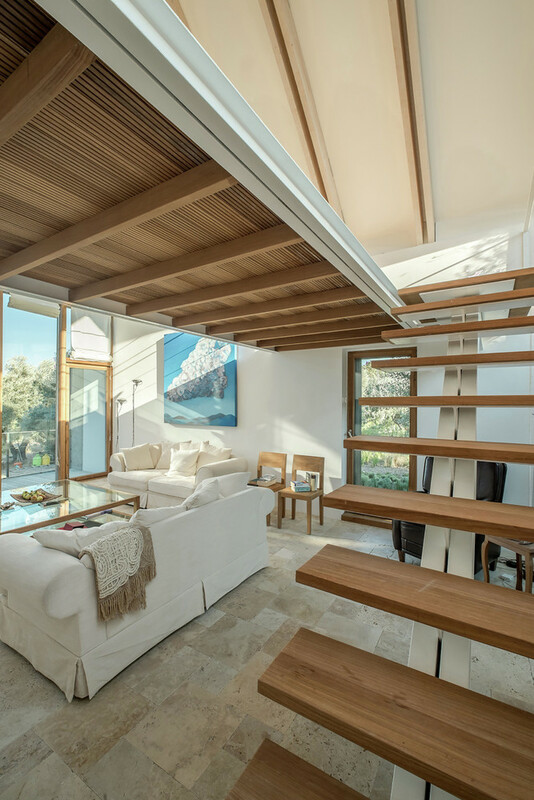 Teke house has 200 square meters and is located in Mordogan, Izmir Province, Turkey. 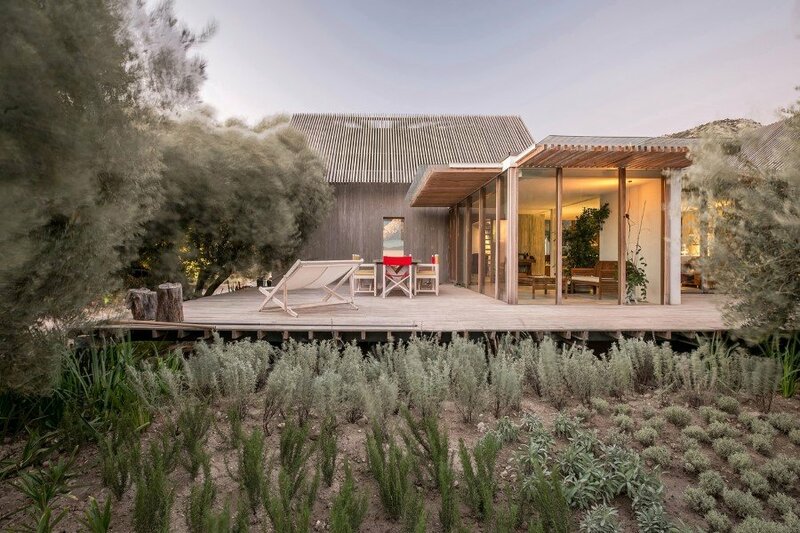 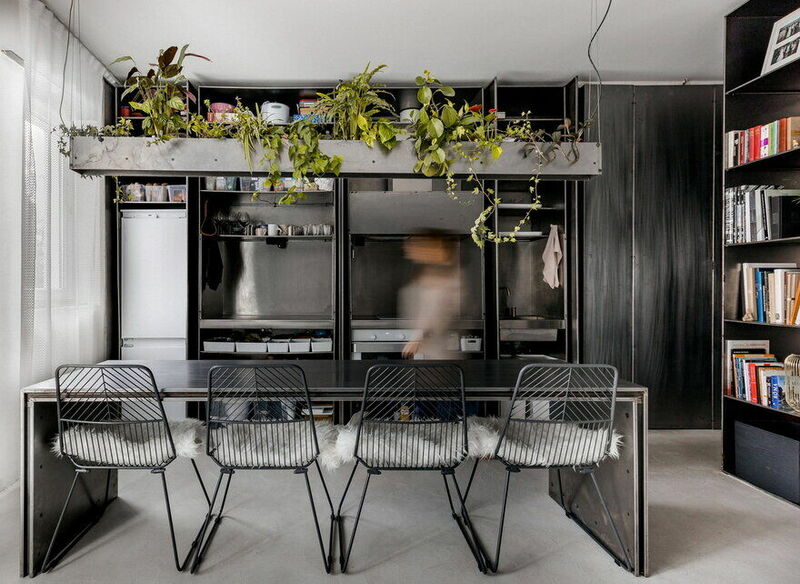 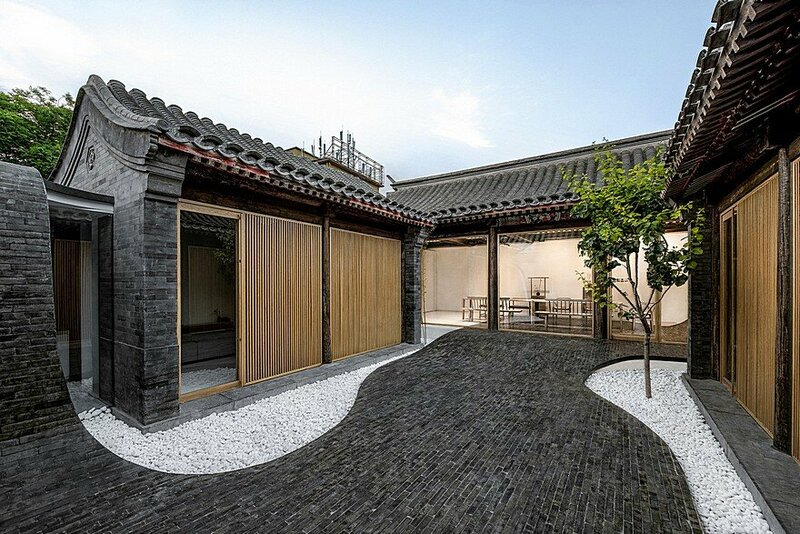 Description by Onur Teke: The Teke House is uniquely suited to the locale, letting the building intimately connected to its environment breathing with the nature. 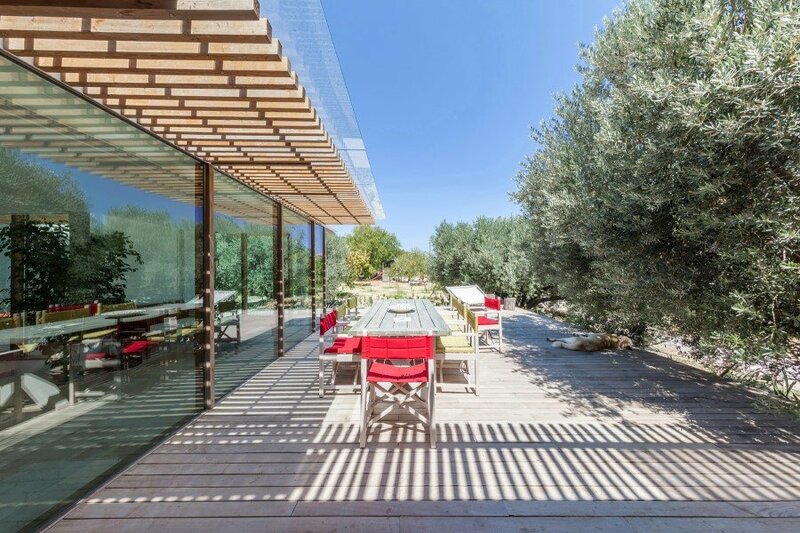 Transparency of the building allows the users to be connected with the nature. 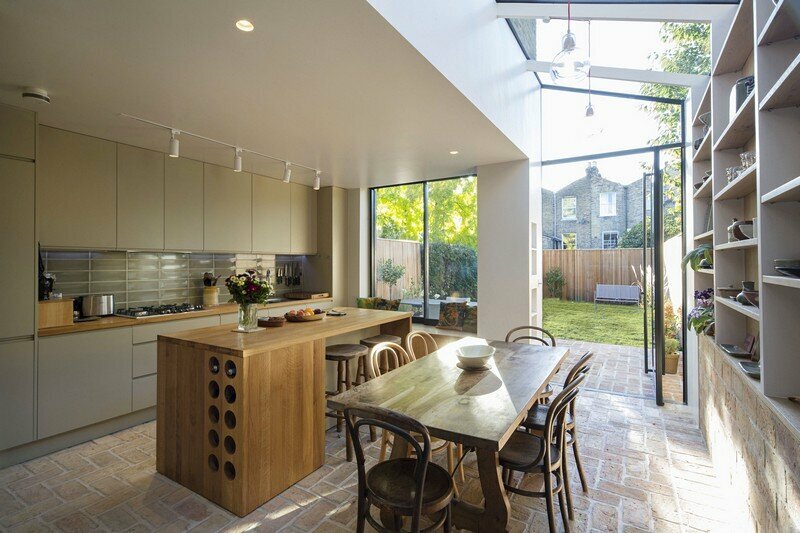 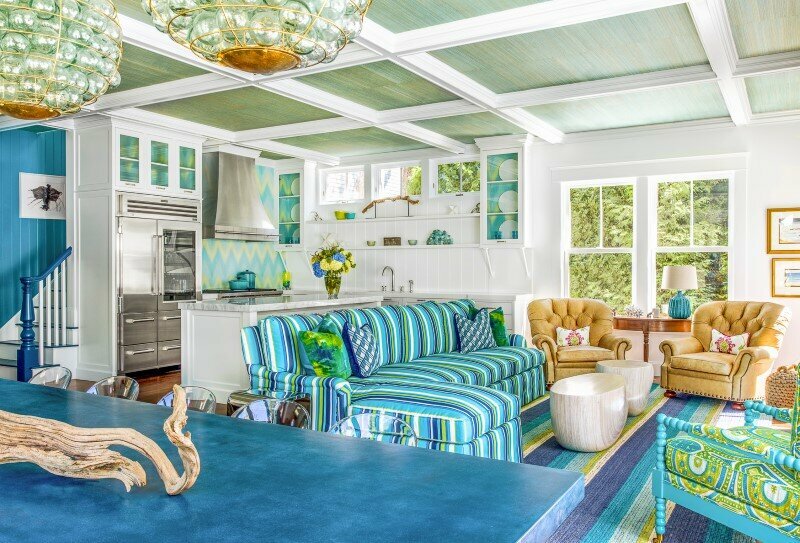 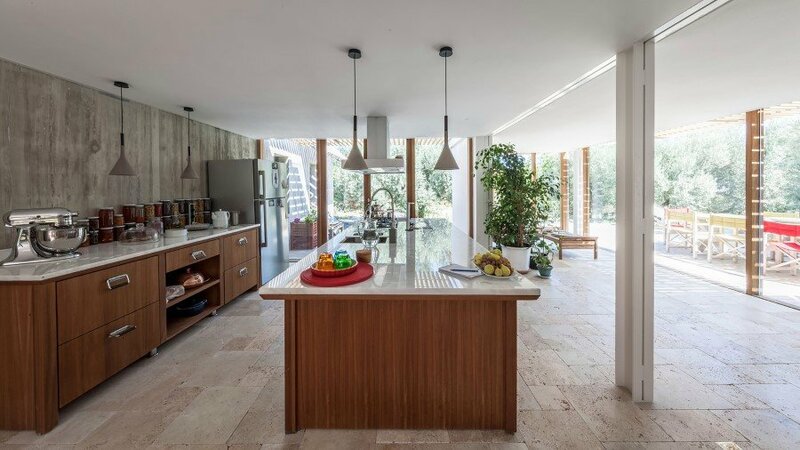 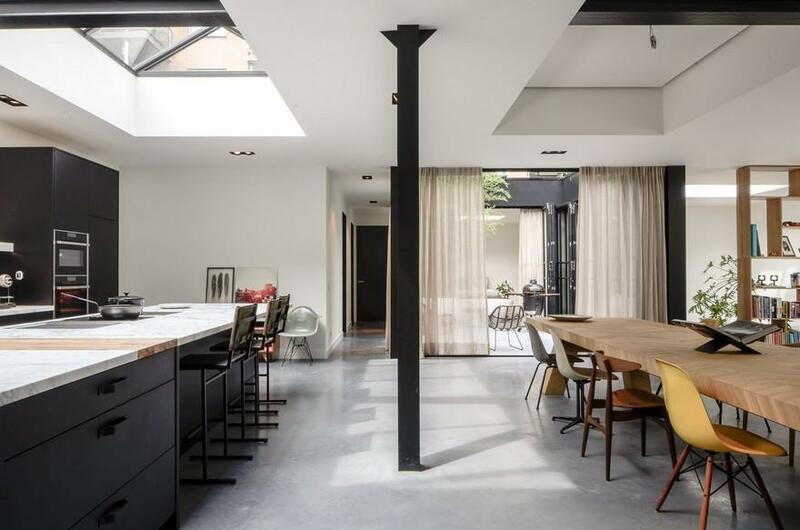 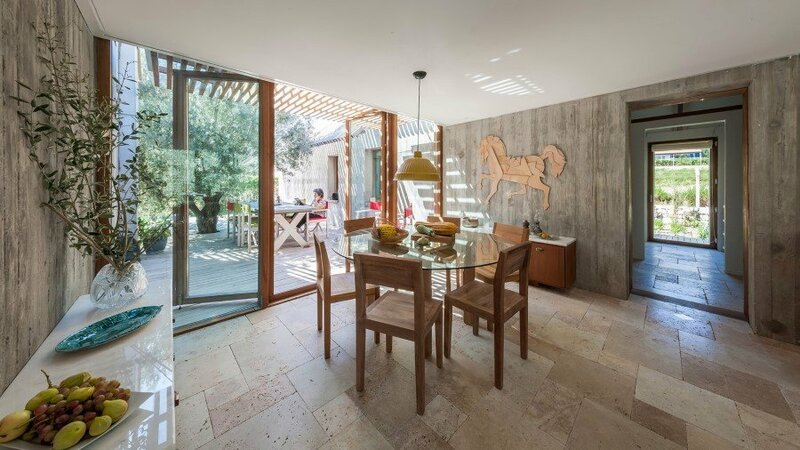 Almost everywhere in the house you can see through to the outside, melting the barrier between exterior and interior reinforcing the sense of place. 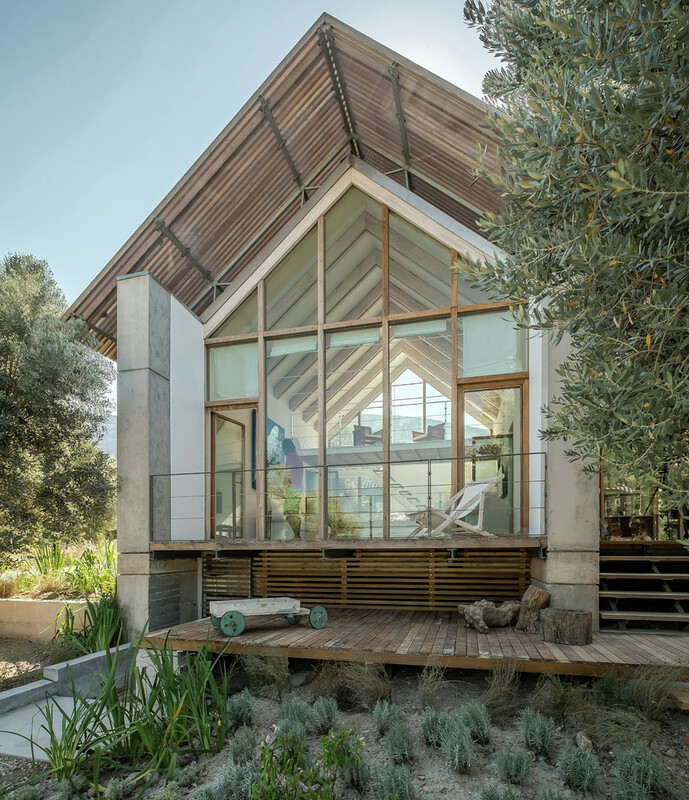 The house integrates active and passive sustainable solutions into its architecture making these an un-detachable part of the whole design. 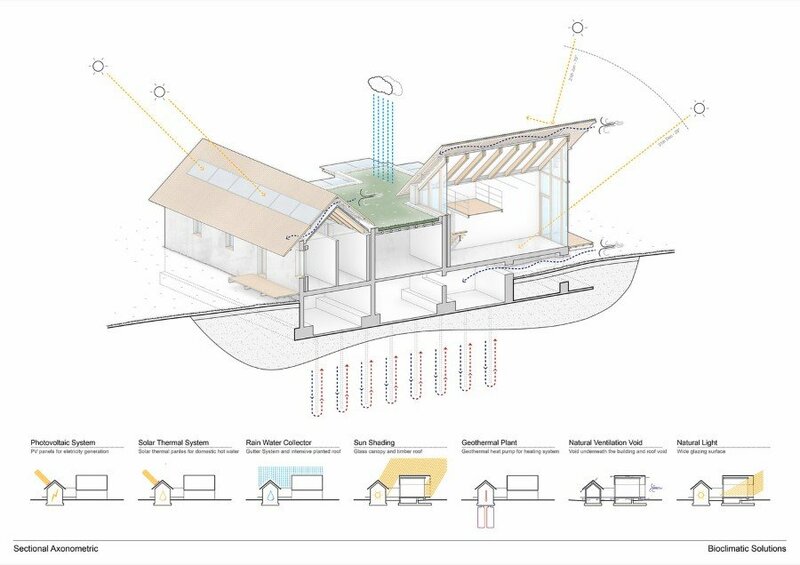 Use of PV for producing energy, solar panels for water, ground source pumps for underfloor heating and cooling. 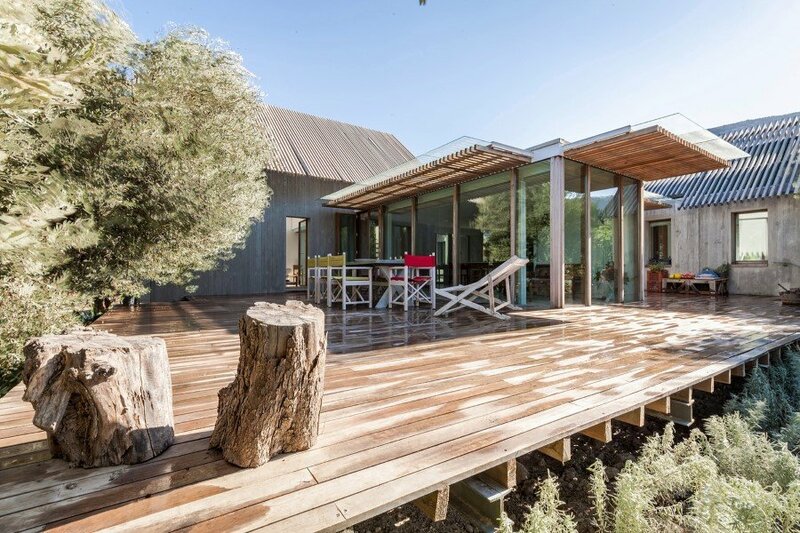 While openings in the glazed surfaces creates cross ventilation using local winds in different seasons, natural lighting decreases the energy use, timber shading elements creates ventilated and a shaded roof surface reducing the heat gain, raised building structure allows a naturally cooled underground storage area, and designed for the possibility of collecting rain water reducing the carbon footprint of the house. 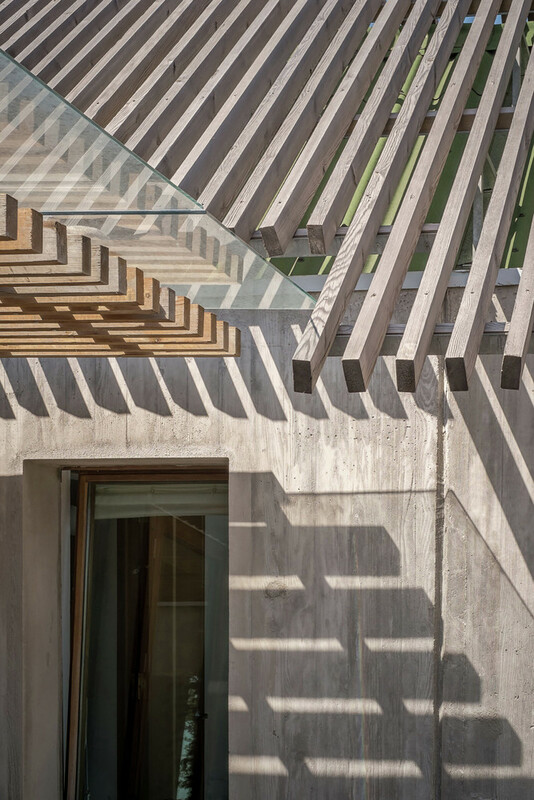 Exterior envelope of the house is designed as continuous shear walls with exposed reinforced concrete, eliminating the need for a conventional frame structure. 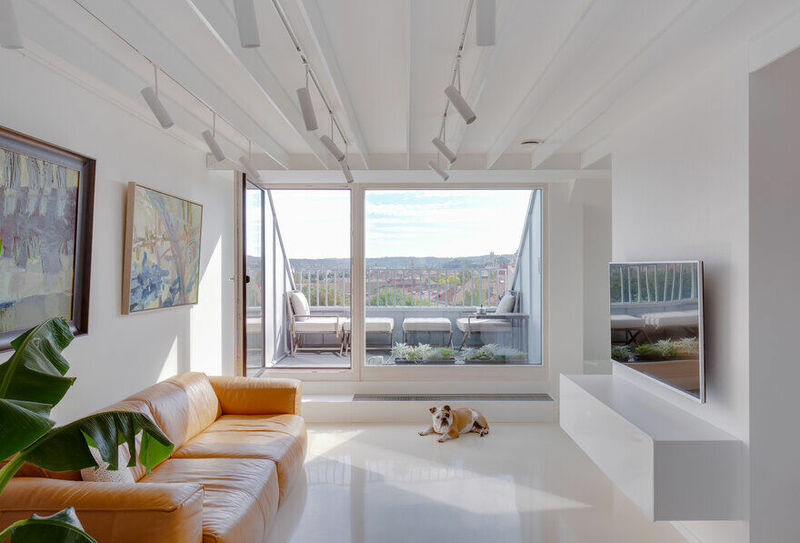 Prefabricated glue-lam beams sits on the top of the walls with steel supports and tension cables, allowing a distinct separation between different exposed structural elements. 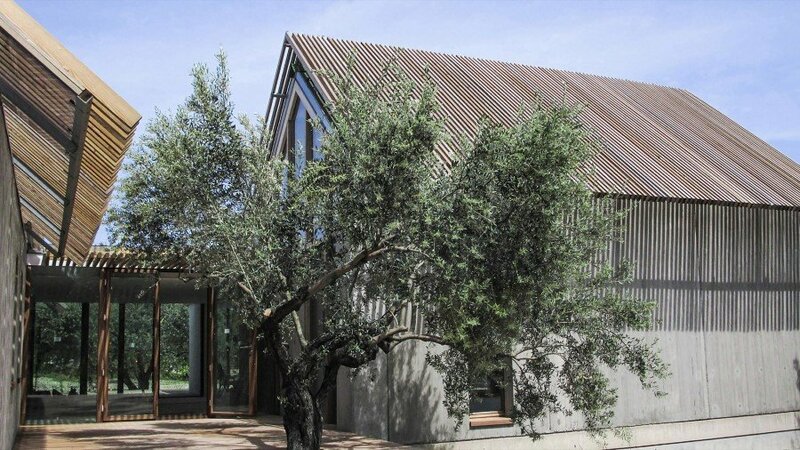 The house stands out as an example/proof in the village that a low cost sustainable living condition can be created working with local artisans, using technology, respecting the nature to create a contemporary architecture.